I've been sick all week, and I am not a fan ... stuffy nose, headaches, and a sore throat. I am skipping everything (zumba, etc.) after work today so that I can just stay home and rest. I have a holiday party tomorrow and the TSO concert on Saturday, so that's probably the best course of action, since I don't want to have to miss either. Seeing shows and movies. 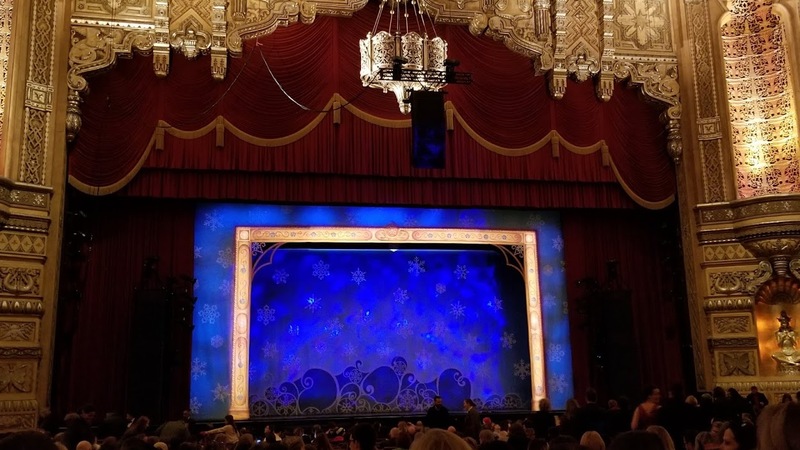 I saw ELF the Musical at the Fox Theatre on Wednesday night, and it was very cute. I need to rewatch the movie now. And speaking of movies, I took myself to go see Ferdinand on Saturday with my MoviePass, and really enjoyed that one; I'm a fan of kids movies that also are interesting for adults. On Sunday, I saw the new Star Wars at Emagine Novi's Super EMAX screening, which was huge! They say it's the size of a basketball court. I saw a screening of Jumanji: Welcome to the Jungle (and you can read my review here) on Monday, and I have plans to see both The Greatest Showman and The Shape of Water this weekend. There are so many good movies coming out this week and the next, too: I also want to see Pitch Perfect 3 (despite the awful reviews ...), Downsizing, Father Figures, and Molly's Game at some point. Hosting a party. I live in a condo that is a pretty nice size (~1150 square feet) but I only host gatherings like once a year, usually - last year I had a housewarming / Halloween party, and this year I decided to host a white elephant/holiday/game night party. About 15 of my friends came to it and it was a lot of fun. White elephant is one of my favorite traditions, too. Driving a 2017 Toyota RAV4. You can read my review here. It was definitely nice to have this car last week, since we got walloped with snow and cold weather. Ordering ridiculous things online. I usually don't buy much online, but lately I've been on an Amazon and eBay kick. I bought myself an Exploding Kittens card game (from the creator of The Oatmeal) on eBay, and a few other games on Amazon ... think Cards Against Humanity expansion packs, though a bit more political. Finding lots of deals. A few months ago, I started a "companion group" to my Yes/No Detroit Facebook page, called Yes/No Detroit Deals + More, and I like to find Amazon, Groupon, and other deals to post there. It's primarily catered to the Detroit area, for local deals, but I post a lot of national deals too. You can find that group here - feel free to join! 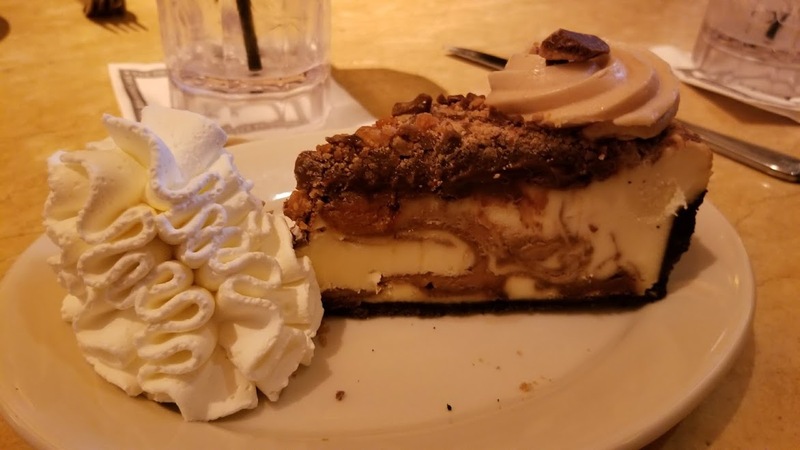 Cheesecake Factory before Star Wars on Sunday!